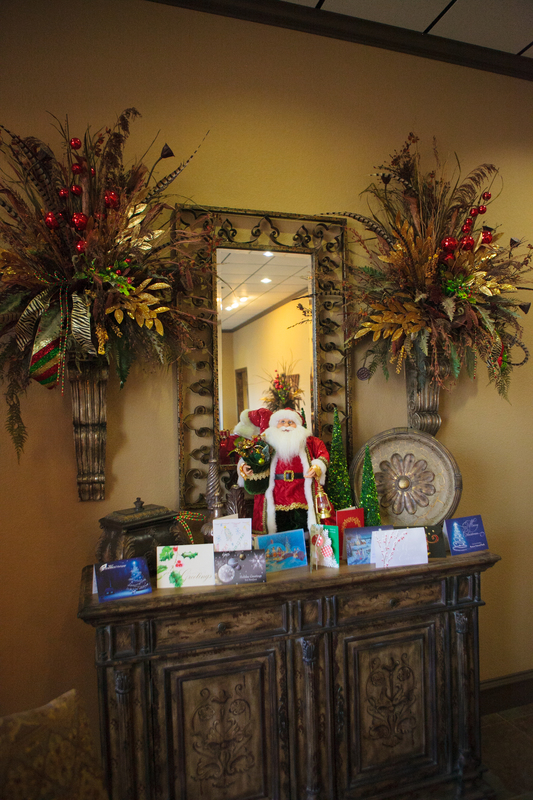 Clients and customers loved being cheered up for the season at their favorite businesses. 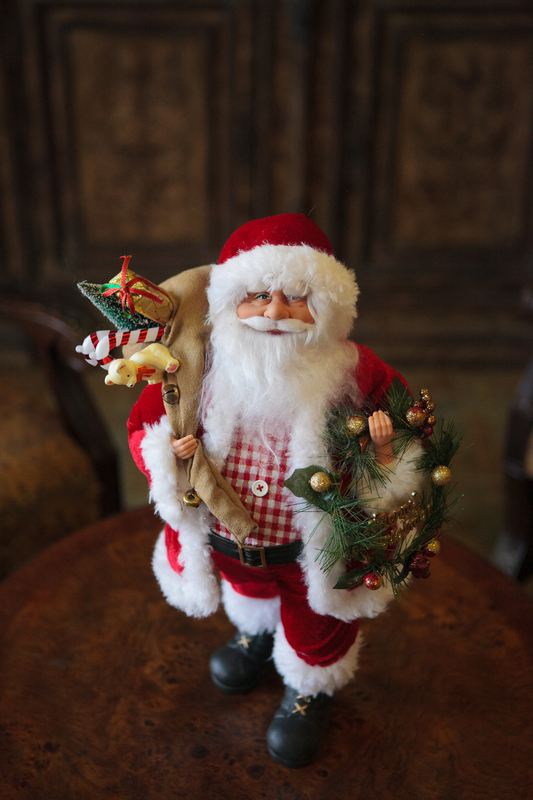 Keep it Classy with the traditional colors of Christmas, but add in a sprinkle of spice with unexpected touches that compliment the décor. 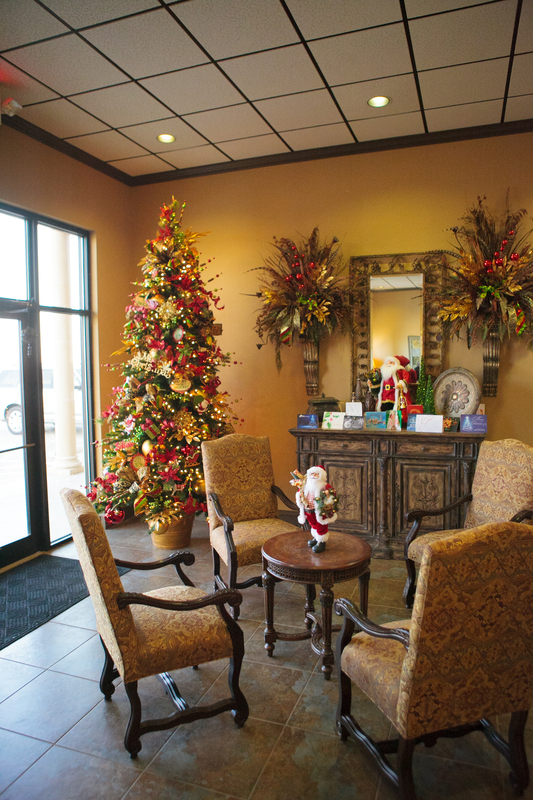 At this real estate title company, family friendly ornaments, snowflakes, and small packages were mixed within beautiful holly and poinsettia floral for a crowd pleasing combination. Sprays of gold leaves, red balls, and curly sprays add projection and dimension. Black and gold zebra ribbon with traditional Red and green ribbon are tied into showy bows! 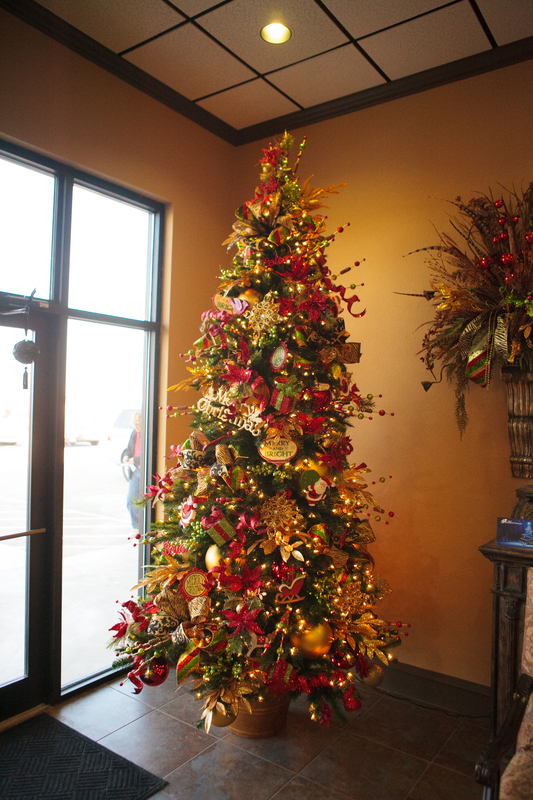 This gives the tree a big punch of WOW! Elements of lime green also kick it up a notch for this Very Merry Christmas Office. Santa likes to be the center of attention and loves the Show Me Decorating Techniques using the tree-trimming recipe and key ingredients. TIP: Elements used on the tree such as gold glitter leaves, balls, sprays, and ribbon were added to the everyday floral (already at the office) to give the theme of happy holidays. 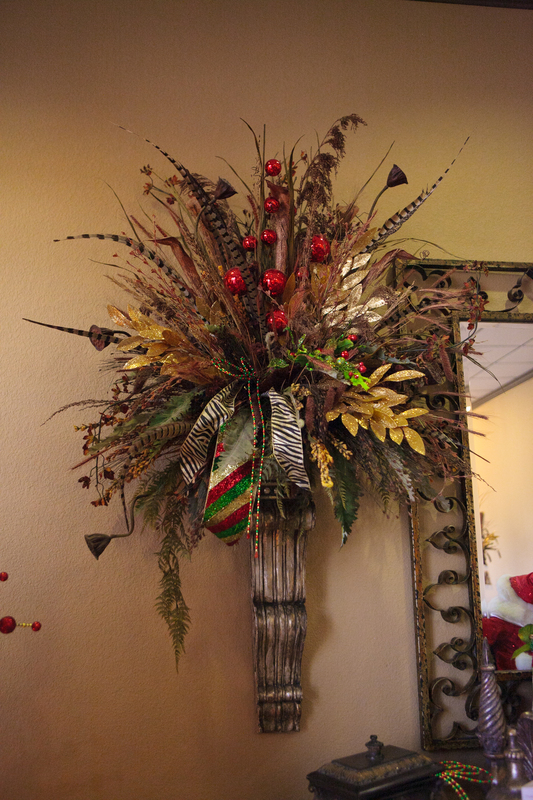 TIP: An urn with a tree holder works well in a commercial setting to keep the lines clean and simple. 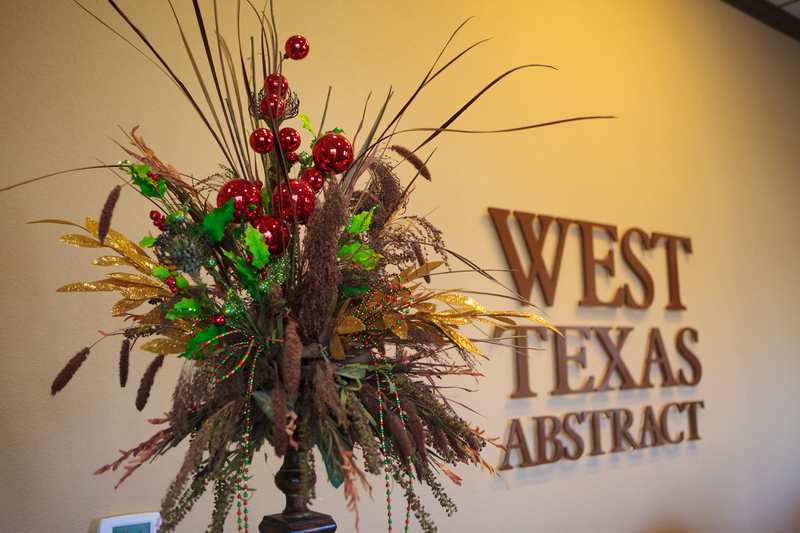 West Texas Abstract, everyday Floral goes Christmas with the Show Me Decorating touch! Select a heavy duty urn, proportion to tree height, purchase a plastic bucket that fits inside and Cement a pvc pipe that fits the diameter of the tree poll. Use quick set #Quickrete all available at #Home Depot or #Lowes. Santa likes to be the center of attention and loves the Show Me Decorating Techniques using the tree trimming recipe and key ingredients.